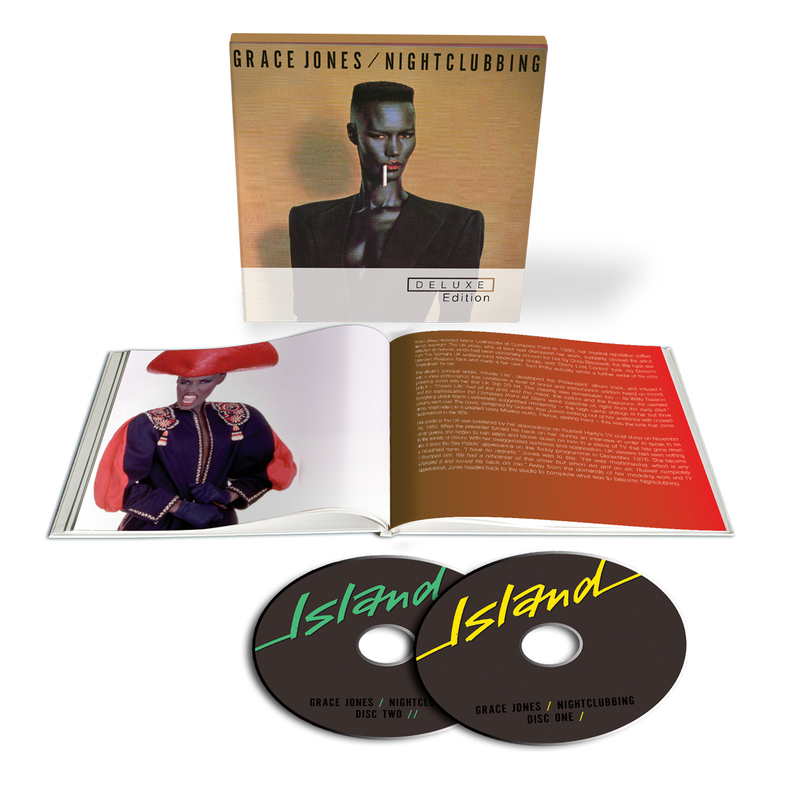 Missing the chance to celebrate its more obvious and sensible 30th and 35th anniversaries, 2014 seems an odd occasion to mark and reprise Ms.Jones’ aloof 1981 classic, Nightclubbing. Garnered the full marketing department’s stately honours of an ‘expanded’ deluxe edition, luxuriantly cased in an array of physical fanboy variants, the original will be bolstered by various ‘long’ and remix versions plus the previously unreleased duo of the nautical dub paean ‘If You Wanna Be My Lover’ and the tropical swinging cover of Gary Numan and his Tubeway Army‘s synth lament, ‘Me! I Disconnect From You’. The cheerier sea breeze Jones take on that Numan track will also be released as a separate 12″ in time for Record Store Day on April 19th. 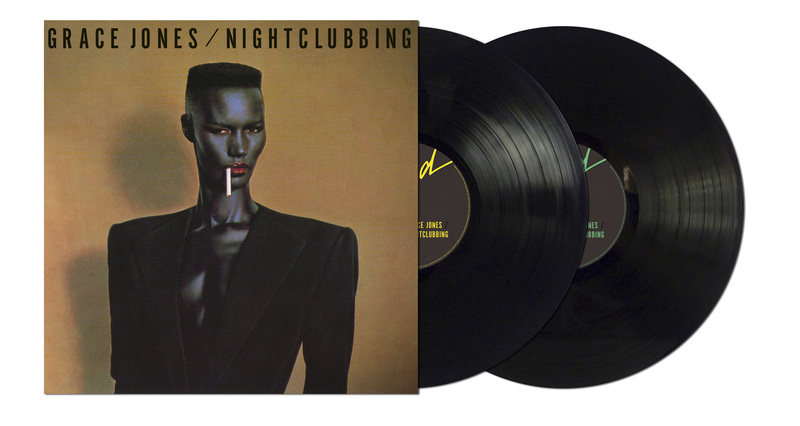 Very much a snapshot of its time yet resonating with a timeless quality too, Nightclubbing encapsulated – as did many of Jones’ recordings – the cross-pollination of art and music, at the turn of the 80s. The middle LP of a Bahamas recorded cycle – viewed as the androgyne polymaths most important and influential – the album is a sophisticated nocturnal beast. Ms.Jones prowling like a panther on heat, the sentinel chiselled android whose vocal intonation and monotone cadence (a binary mix of Édith Piaf, Eartha Kitt, Ann Peebles and Nico) proves that there is indeed a soul at the heart of the machine, slopes up and down on a deep, cool, backtrack of dub, calypso, Tango, funk and ominous skulking new wave. A kind of languished dream team brought together under Chris Blackwell’s Island Records flagship, Jones’ infamous Compass Point All Stars production and session group boasted a former Wailer, keyboardist Tyrone Downie, synth specialist Wally Bardarou, guitarists Micky ‘Mao’ Chung, Barry ‘White’ Reynolds and fellow Nassau resident funksters T-Connection‘s Monte Browne, percussionist Uziah Sticky Thompson and the esteemed rhythm duo of drum and bass masters, Lowell ‘Sly’ Dunbar and Robbie Shakespeare. Continuing to cover the same brooding torment of the previous The Normal borrowed Warm Leatherette LP, this steamier volume gives the seedy Bowie/Pop original a certain dreamy gait. and bounces to a whole new dub beat; not so much dynamic and bombast, but methodical and naturally funky. 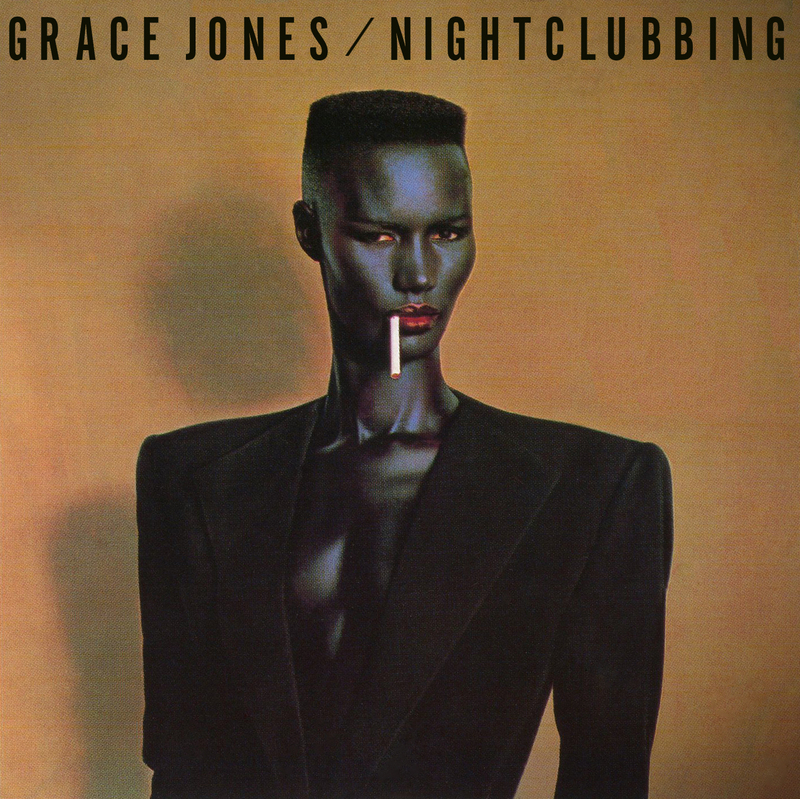 Whether slinking through a poignant downpour (‘Walking In The Rain’); tripping the night fandango in a concretised Parisian espionage-lit set (‘Seen That Face Before’); or transforming a Sting number into Blade Runner futurism (‘Demolition Man’), Jones and her assembled cast turn a deadpan phrase and ponderous bass line into something erotically electric. Leaping out like a yellow cab horn honk, the album’s most renowned – a staple of every good house party – anthem, ‘Pull Up To The Bumper’, transports the action to Studio 54, via the traffic and heat of the New York sidewalks, to create one of the all time sassy grind and bomps. Good job its a class act, as there are six various degrees of pointless mixes (collected from 12″ and promotional releases, and with the ‘Peanut Butter’ mix, from a cassette), including an instrumental and countless mildly adjusted shades of the same evocative rhythm; though the ‘1985 Remix’ is an eyebrow raising Wild Style meets The Beverly Hill Cop, echo heavy, highlight. But it is the, rather meagre, offering of the left dormant and unloved If You Wanna Be My lover (more attuned and congruously suited to the next of Jones’ albums, Living My Life) and already mentioned Numan cover, Me! I Disconnect From You. Luckily both are pretty decent efforts, If You Wanna Be…the lost link between yacht pop, Bowie’s Young Americans and Ann Peebles, and the so-called futuristic disconnected distance of Numan’s world is brought back to life: an Island life. If you haven’t contemplated or still yet attained a copy of Nightclubbing then this will be worth the price of admission. However nothing beats the original vinyl pressing except the 180g, remastered from the analogue tapes, vinyl version which will be relaxed alongside the CD specials on the 28th (April 2014) – the 81 version is fine but on a much lower grade of quality and thinner vinyl.